A few days ago the Court of Justice of the European Union (CJEU) issued the much-awaited decision Coty Germany GmbH v Parfümerie Akzente GmbH, C-230/16. Here is a short summary of the dispute, decision and some commentary! 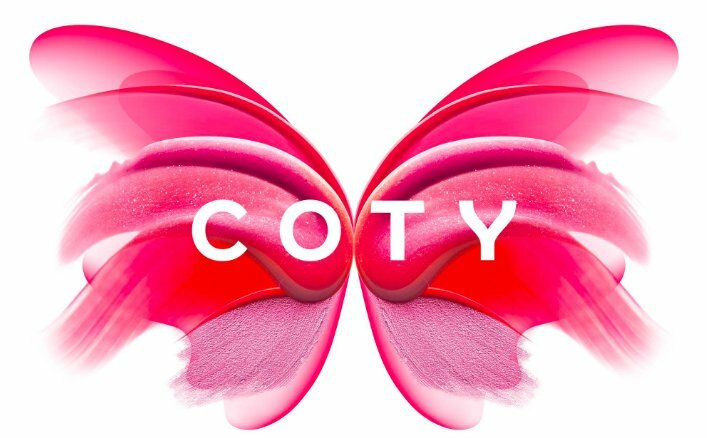 Coty Germany (“Coty”), the German supplier of luxury cosmetics powerhouse Coty Prestige, had a distribution agreement with Parfümerie Akzente GmbH (“Akzente”). In the agreement several provisions provided for standards that Akzente had to comply with in order to preserve the high-end luxury status of the brands covering the products of Coty: the décor, furnishing of the sales location, the selection and presentation of goods, had to highlight the luxury character of the brand. 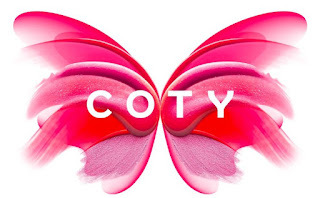 In 2012, Coty decided to change the terms of the agreement inter alia by providing that the sales on the internet should henceforth be done in order to preserve the luxurious character of the brand and through an “electronic shop window” of the authorized store. Furthermore, the amended agreement prevented the distributor from using, on the online marketplace, a different business name or a third-party website “discernible to the public”. At Akzente’s attempt to sell goods through “amazon.de”, Coty sought relief in the court of first instance of Frankfurt am Main to prevent it from distributing the goods on the online platform. The Landsgericht found this clause to the agreement to be in contrast with Article 101(1) of the Treaty on the Functioning of the European Union (TFEU). The Oberlandsgericht Frankfurt am Main, in evaluating Coty’s appeal, referred the case to the CJEU, essentially asking whether a selective distribution system primarily established in order to ensure a luxury image preventing from selling the products freely in the online marketplace is compatible with Article 101(1) TFEU. 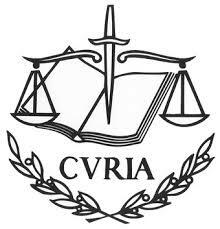 On 6 December last the CJEU handed down its judgement, and held that a clause which, in order to preserve the luxury image of an undertaking, prevents an authorized distributor from using a third-party website discernible to the public is not in violation of competition law, if the clause complies with certain conditions. The CJEU, in its reasoning, essentially followed the Opinion issued by Advocate General Wahl (Kat Eleonora's report here). The practical implications of this case are substantial, affecting luxury brands and e-commerce as well as those online players that are “discernible to the public”. Furthermore, this has also an impact for trade mark owners of luxury goods. The three main focus points of this case are luxury goods, selective distribution agreements and platform bans. The Court, together with the violation of Article 101 TFEU, had to analyze whether the agreement in question fell within the restrictions that remove the benefit of the Block Exemption Regulation, namely territorial restrictions and a restriction on passive sales. AG Wahl, in his Opinion, had held that the jurisprudence of the Court to date indicates that the clause of the agreement at hand would not be a restriction of competition on the perspective of Article 101(1) and it is covered by the exceptions of the Vertical Block Exemption Regulation (VBER). The Court finally clarified the vexata quaestio of the scope of the Pierre Fabre judgement: in that case the issue at stake was a blanket ban on internet sales and here it was merely a decision to selectively distribute Coty’s products online (exactly the same result achieved through selective distribution done in brick-and-mortar shops). The Court further noted that with its decision in Pierre Fabre it did not intend to set out a statement of principle for which the preservation of luxury image cannot justify a restriction of competition. Interestingly the court found that another difference between the two cases is that there the products at stake were cosmetic and personal hygiene goods and not luxury products. 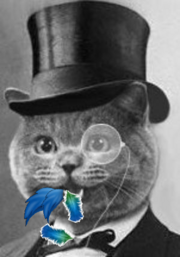 It could be argued that cosmetic products can be luxury goods (as was also established by previous Court jurisprudence for example here and here and also by the desolation of Merpel's wallet when buying Kat make-up and fur shampoo). In its judgment, the Court also relied on the principles established in Copad. That case (covered by this blog here) the Court held that the licensee would be liable for trade mark infringement - and not only contractually liable - because the contravention to the terms of the contract damaged the aura of luxury and the allure of the brand. A similar approach can be found in another trade mark case, Coty Prestige Lancaster Group (Coty must just like the attention - says Merpel -) , where it was held that using a trade mark contrary to the proprietor’s consent amounts to breach of trade mark’s rights. Certainly in Coty the trade mark aspect does not arise per se, but the reasons at the basis for the decision stand regardless. This is because what is really at stake here is the image that certain companies want to portray in the business world and this intangible property; their aura of luxury, needs to be protected by trade mark and competition law. As AG Wahl stated in his Opinion, the object of competition law is not only to protect price competition but also economic efficiency and the welfare of consumers of which the optimization of the quality of goods is a sound basis for. This is why allowances are made for selective distribution systems, in light of maintaining “a high specialist trade capable of providing specific services as regards high-quality and high-technology products, which may justify a reduction of price competition in favour of competition relating to factors other than price”. In short: trade mark law to rule them all, trade mark law to bring them all to justice and bind them (for the Lord of the Rings fans out there). Another aspect that the Court focused its attention on is the fact that the lack of a contractual relationship between the supplier of the luxury goods and the third-party platform could be problematic in case of enforcement. The Court underlined how a binding clause found in the authorized distributor’s agreement could not be as effective as a direct relationship between the supplier and the online platform. Obviously this type of determination is best conducted on a case-by-case basis, but it is not new to the Court: in L’Oréal and others v eBay International, L’Oréal’s distributor sold unpackaged perfumes through eBay, which L’Oréal successfully argued being damaging to its luxury image, amongst other considerations. From this follows the importance, underlined by the Court in its judgement, for luxury brands to be able to check and control the sale environment of their products. The definition of luxury goods is not found in the judgement. This is not at all surprising since it was not a question asked to the Court. It could be argued that not defining what luxury products are could prompt companies to use the exception granted with this decision to establish a selective distribution system and a platform ban. This is perfectly possible at the companies' risk but first of all selective distribution is not something all undertakings strive for or something they can all afford. In addition, judgements based on the luxury image and the high quality of goods have been around for many years, in the field of competition law as well as that of trade marks. It will nevertheless be interesting to see how the Court will develop its jurisprudence in this sense. The Coty judgment also confirms the findings of the European Commission in its final report on the e-commerce sector inquiry which indicates that “marketplace bans do not generally amount to a de facto prohibition on selling online or restrict the effective use of the internet as a sales channel irrespective of the markets concerned”. With its decision the Court implicitly affirms that the market ban, with all the trimmings illustrated above, does not amount to a restriction by object. This type of clause: (1) does not limit the passive sales of the distributors because they can still advertise the products online and it is not possible to circumscribe third-party platform customers; and (2) only restricts a specific type of sale. In case the same situation will be dealt with but by a non-luxury brand, then the analysis will have to be done on a case by case basis (even though this Kat thinks that an argument by a non-luxury brand could not hold).. In conclusion, this judgment is in line with the previous CJEU jurisprudence and policy as well as with the tenets of EU competition. It is not to exclude, however, that with the evolution of e-commerce and its rampant presence in the consumer’s life that these issues will be dealt with differently in a few years’ time. 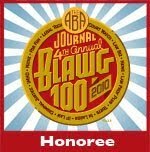 Conference Report: Should we say "no" to automatic injunctions and "yes" to proportionate remedies?